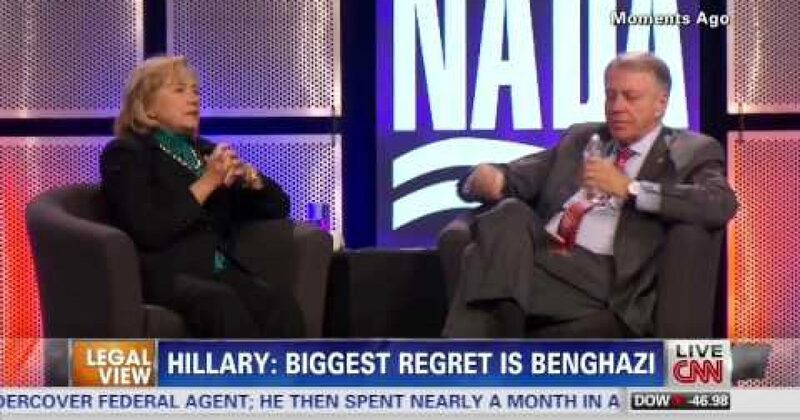 What ABOUT Benghazi Does Hillary Clinton Regret? Ms. Clinton didn’t address the question of which part of Benghazi she regrets. Fourteen months after the attack we are still trying to find out what happened, Is that what she regrets, or does she regret that Americans don’t understand why they were told the false story about the Muslim video? The late Chris Stevens number two Gregory Hicks, and General Ham the commander of AFRICOM at the time (United States Africa Command, Headquarters, U.S. Armed Force) both testified the Administration was told it was terrorism from the very start? Why weren’t these testimonies part of the recently released Senate report on Benghazi? The Democratic Party run Senate didn’t call on them to testify, Hicks and Ham testified under oath to the House. Back in May, Gregory Hicks, deputy chief of mission at the U.S. Embassy in Libya, testified before the House Oversight Committee that at 2 a.m. Tripoli time (8 p.m eastern time) on the evening of 9/11/12 he spoke with Secretary of State Hillary Clinton and her senior staff. Hicks told the committee that he briefed Clinton on what was happening on the ground in Benghazi and that in the course of his call no one mentioned the Mohammed Internet video and the ongoing attack was discussed as an act of terror. General Ham testified 15 minutes after the attack began he alerted General Dempsey and Leon Panetta who were on their way to a previously scheduled meeting with the President. Ham’s account of that fateful day was included in some 450 pages of testimony given by senior Pentagon officials in classified, closed-door hearings conducted last year by the Armed Services subcommittee. The testimony, given under “Top Secret” clearance and only declassified in December, presents a rare glimpse into how information during a crisis travels at the top echelons of America’s national security apparatus, all the way up to the President. Leon Panetta’s testimony of a year ago corroborated General Ham’s testimony. Panetta told the Senate Armed Services Committee in February 2012 that it was he who informed the president “there was an apparent attack going on in Benghazi.” “Secretary Panetta, do you believe that unequivocally at that time we knew that this was a terrorist attack?” asked Sen. Jim Inhofe, R-Okla. “There was no question in my mind that this was a terrorist attack,” Panetta replied. Further corroboration came in a then classified session on July 31 of last year, Rep. Westrup raised the question of what was the cause of the attack with Marine Corps Col. George Bristol, commander of AFRICOM’s Joint Special Operations Task Force for the Trans Sahara region. Bristol, who was traveling in Dakar, Senegal when the attack occurred, said he received a call from the Joint Operations Center alerting him to “a considerable event unfolding in Libya.” Bristol’s next call was to Lt. Col. S.E. Gibson, an Army commander stationed in Tripoli. Gibson informed Bristol that Stevens was missing, and that “there was a fight going on” at the consulate compound. According to these senior military leaders, from the very beginning the American people were lied to about this attack by the President of the United States and the Secretary of State among others. We were lied to about the nature of the attack being terrorism rather than the product of a demonstration. A year ago last week, Ms Clinton gave her famous testimony where she blurted out, “What difference at this point does it make?” The difference is the American people deserve to know if they have been lied to, they deserve to know why the Secretary of State made no contact with Gregory Hicks in Libya after 8pm. And most important, the families of those killed on 9/11/12 deserve to know the circumstances under which their loved ones were murdered.